Colorado and New Mexico, December 2009 | ride. travel. live. 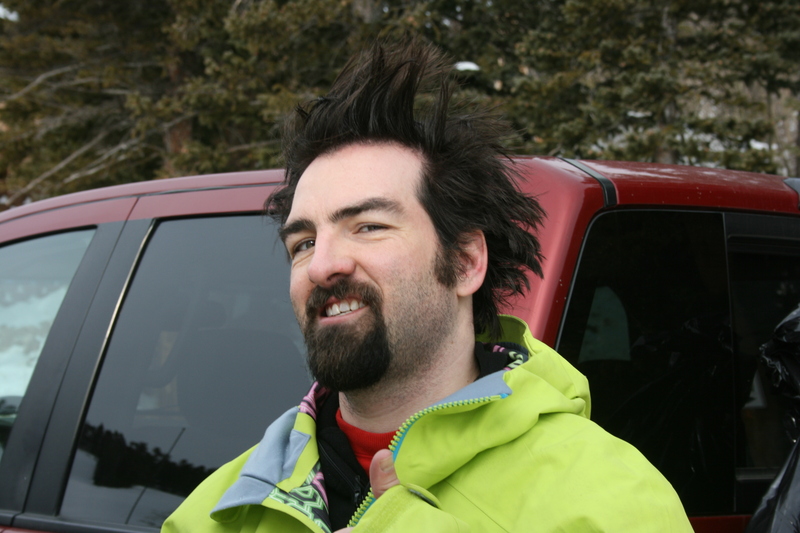 13 December 2009, Eldora, Colorado. Never been here before, but as I was staying with my friend Mike and his family in the north suburbs of Denver, we figured that this was the best option. There was a full schedule planned for that Sunday, so we were out early, finished by around 2:30 PM or so, and then headed down to Denver for the Avalanche / Flames hockey game. The conditions were overall fine, with overcast skies, not-so-cold temperatures, and still early season coverage. So no tree stuff, limited runs were open, but the ski area is fun, a telemark magnet, and a short scenic drive up the canyon from Boulder. Mostly, it was bombing the pistes, and I got the chance to take a run on Mike’s new Lib Tech Skate Banana board. Having not ridden a new board in nearly 7 years, this was quite an experience, it felt initially less stable, but was very easy to maneuver and held an edge very well. No doubt, the reverse camber and the Magnetraction had something to do with it. But as I continue to look into a replacement board, I’ll certainly consider this board carefully. 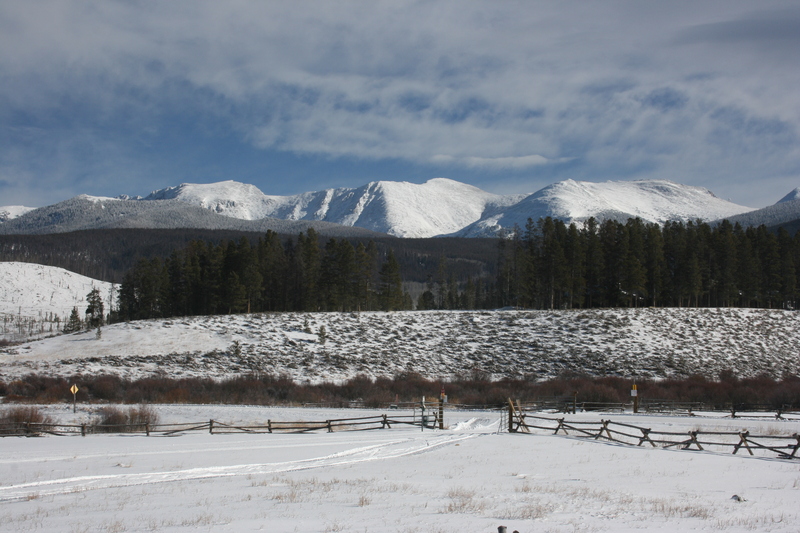 14 December 2009, Winter Park, Colorado. Now for some big resort action. 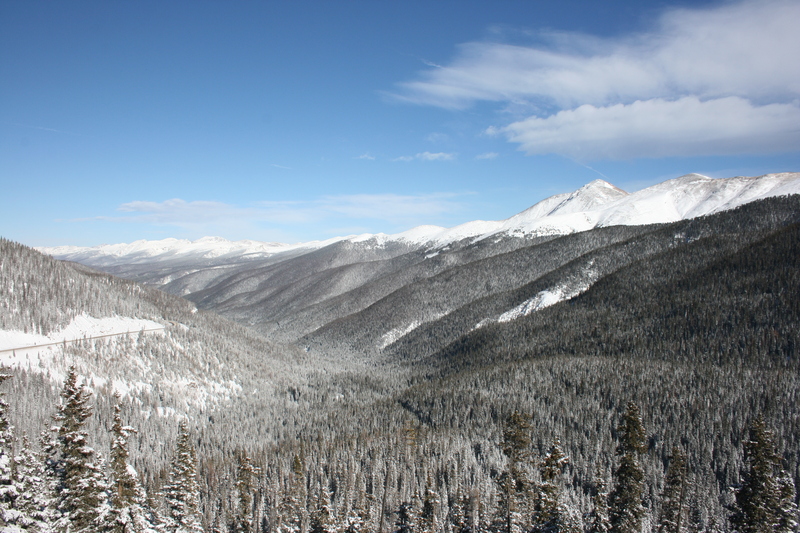 Again, this was my first trip to Winter Park, and it involved a very slow drive over a snowed-in Berthoud Pass, with all the visibility issues, slick roads, and Denver rush hour traffic. So the 90 mile drive took nearly 2.5 hours to negotiate. I hooked up with WP local Jeff Harper of Adrenaline Garage Productions, who took a break from his busy filming schedule to show me around. 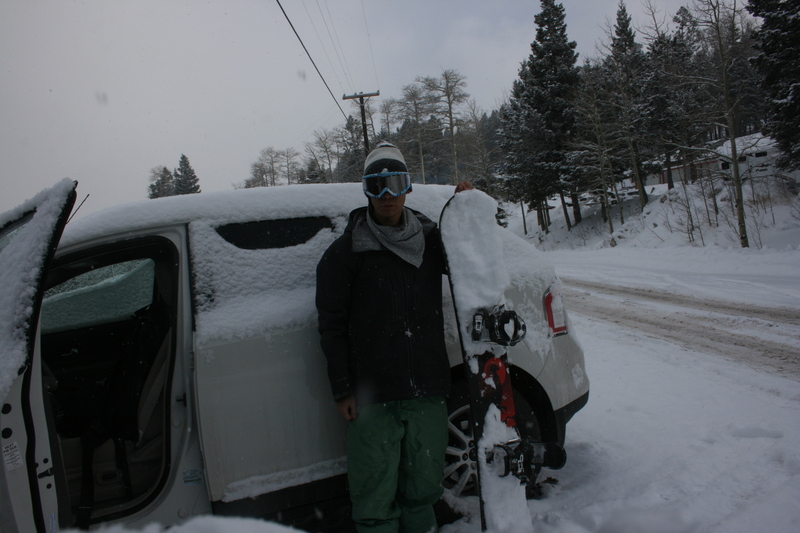 Now it was a legitimate powder day, with a good 8 inches or so of snow, and still early season conditions. The runs were pretty bumped up, and being a novice to this place, it’s less-than-ideal for snowboards in places, with plenty of traverses that required me to unstrap and hike/skate to. But I got a good flavor of the area, and hopefully will return. Then it was down to New Mexico for business, but I managed to squeeze a couple of days in there. 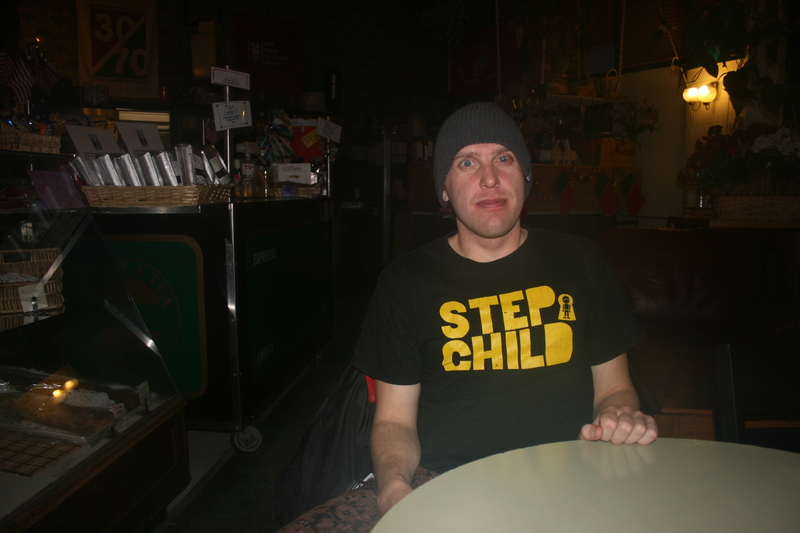 18 December 2009, Taos, New Mexico. I wrote about Taos in the early life of this blog, and returned for a day trip. It was a more leisurely day than my usual, the slopes were a bit icy from the lack of recent snow, but we got in a good number of runs off of what was open, and also took in a quick trip to Bavaria during lunch. 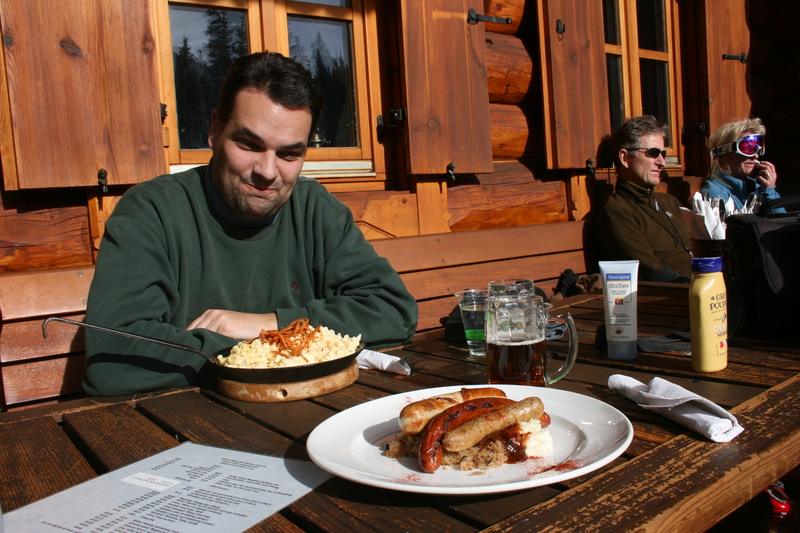 Yes, we had lunch at the Bavarian, an alpine-style house serving you guessed it, German Bavarian specialties. So I indulged in a beer at lunch, soaked in the warm sun, and had a typical sausage and potatoes lunch, under a Freistaat Bayern sign. No green chile sauce in this part of New Mexico, but the smell of pinyon smoke is an instant giveaway that it’s not Bavaria. The ski area is famous for its steep stuff, dry powder, and its long-standing ban on snowboards, lifted in 2008. It looks like the number of snowboarders has increased over last season, which is good news. 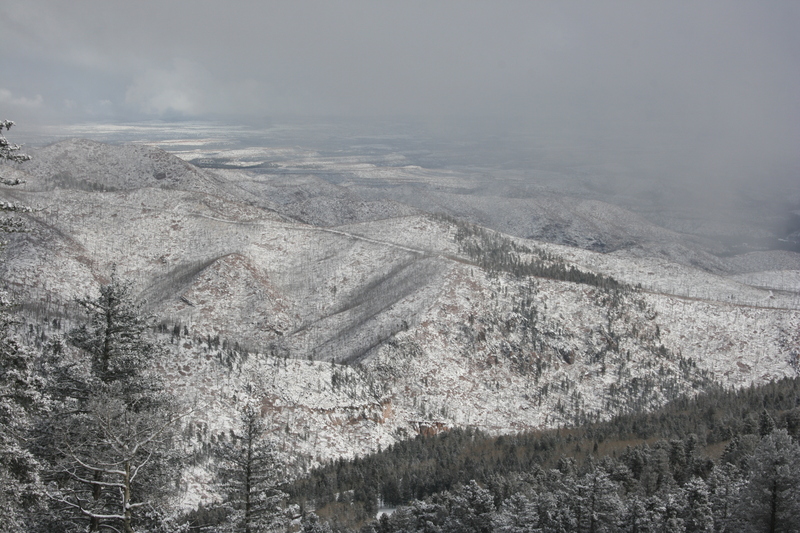 23 December 2009, Pajarito Mountain, New Mexico. This is the local Los Alamos hill, owned by the lab, and what a nice surprise. 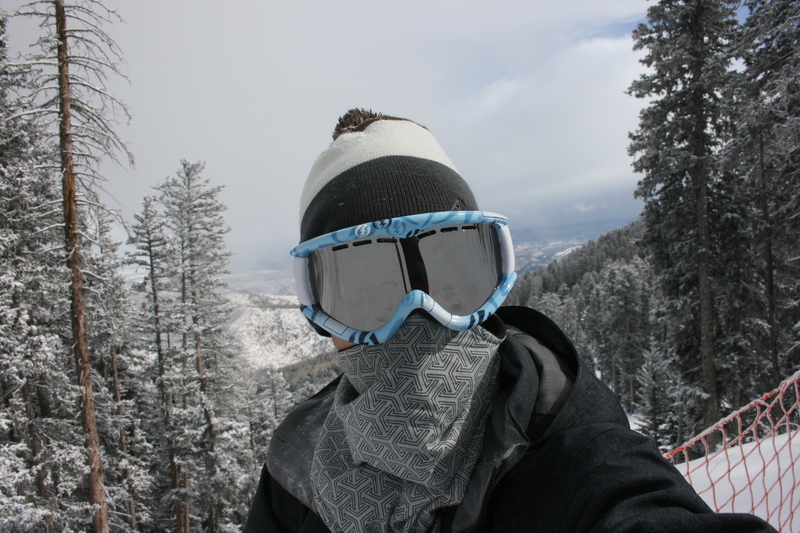 The slopes are steep, and coverage was still spotty in places, so I took a few rock shots to my board, and found myself plowing through weeds, small trees, and random bushes, but there was a good helping of fresh dry New Mexico snow. In contrast to the 2005-2006 season, where the mountain didn’t even open due to poor snowfall, the season’s off to an excellent start. It’s about 20 minutes from downtown Los Alamos, so I was able to get a late-ish start, pick up a coffee at Starbucks, and then go through the security checkpoint en route to the base area. More on the non-snow related stuff in another post.